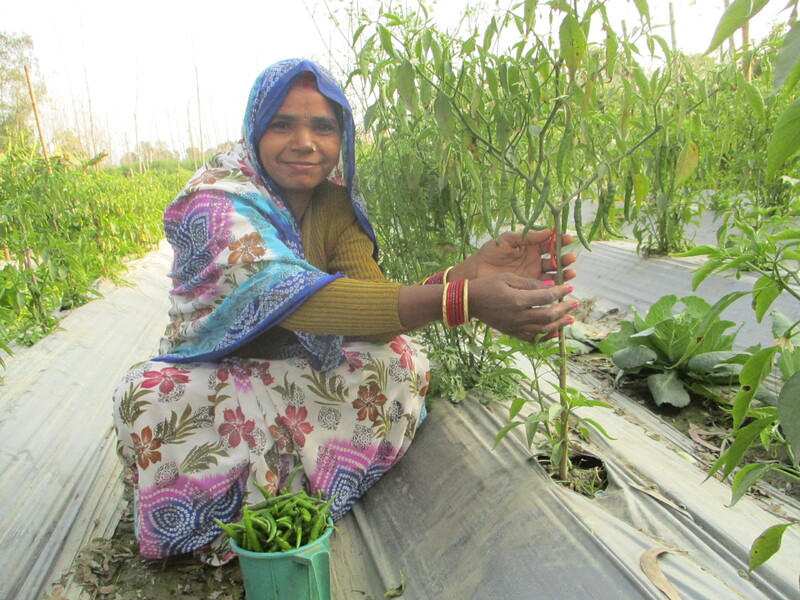 Supported by a $20,000 grant from Buddhist Global Relief, the “Prosperity Through Resilient Livelihood” project is working to improve the lives of women farmers in twenty villages in Uttar Pradesh’s Lakhimpur Kheri district. With an emphasis on community-led knowledge-sharing, support, and collective organizing, the project has created 22 new women farmers’ groups offering trainings in organic methods and other climate-resilient agricultural practices to improve productivity and income and lower costs. The project also seeks to improve farmers’ access to government grants by developing connections between village groups and the government agriculture department. Women comprise more than a third of the agricultural work force in Uttar Pradesh, India’s most populous state, and it is estimated that 85 percent of working women in rural areas are farmers or farm workers. But with few land titles in their names, women farmers are far less likely than their male counterparts to benefit from government grants and projects: only 4 percent of women in Uttar Pradesh have access to credit, and less than one percent have participated in government training projects. Farming in general in this area of Uttar Pradesh is subject to drought, flood, poor soil quality, poor seed replacement, and general low productivity. An estimated 33 percent of the state’s population lives in poverty, including many farming families. 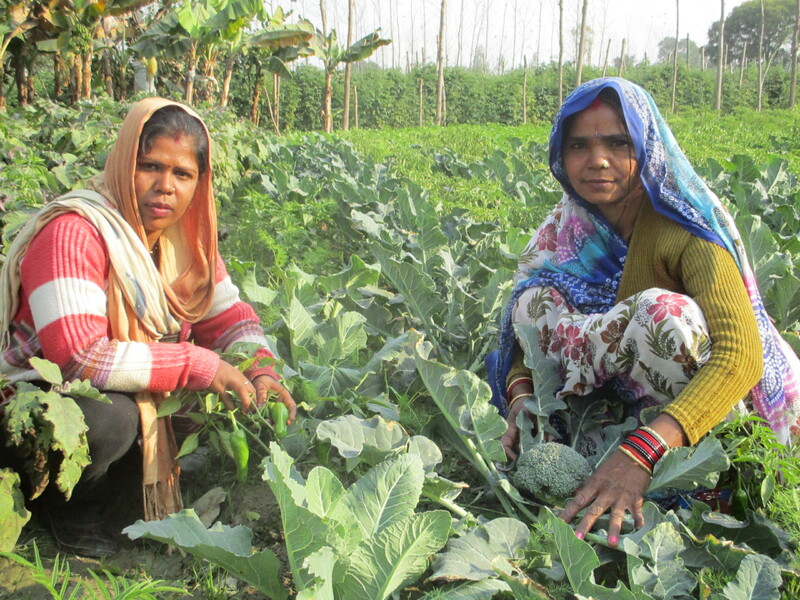 In the first six months of the “Prosperity Through Resilient Livelihood,” Oxfam India reports, 75 women from 20 villages began cultivating crops in kitchen gardens, and 20 Dalit (scheduled caste) women farmers began mushroom farming. Six villages, representing 102 small-holder farmers, created agriculture development plans, and 376 farmers, including 32 women, were registered under government agricultural projects. Additionally, 255 farmers received seed and 121 farmers received agricultural equipment from the government. 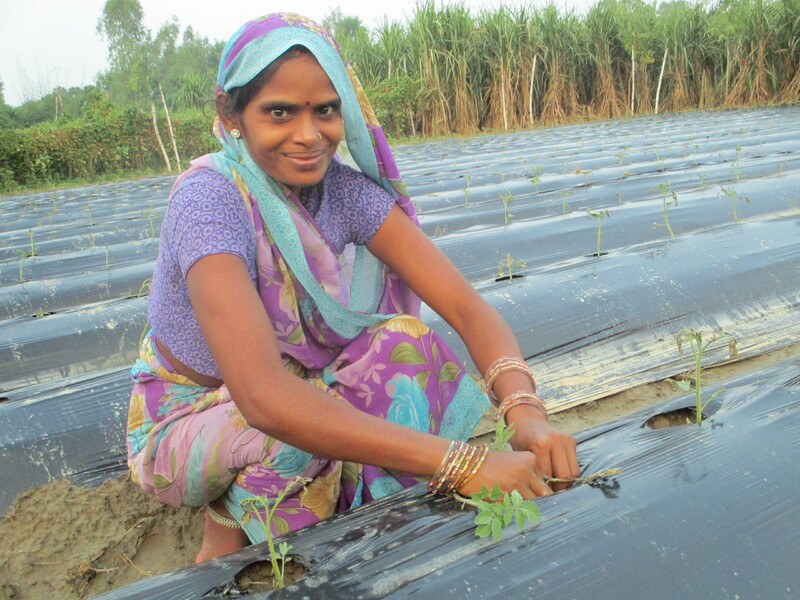 Among the techniques Rajmati has implemented is the use of a manure or compost mulch covered by a plastic sheet to increase productivity by supporting moisture retention, regulating temperature, suppressing weed growth, and enriching the soil. She explained: “We applied plastic sheets in vegetable cultivation. This has minimized our investment, as our vegetable crop used less water and was protected from weeds, as well. We also did mixed-cropping: Between the beds we had sown cauliflower, which gave us an extra crop at the same time. 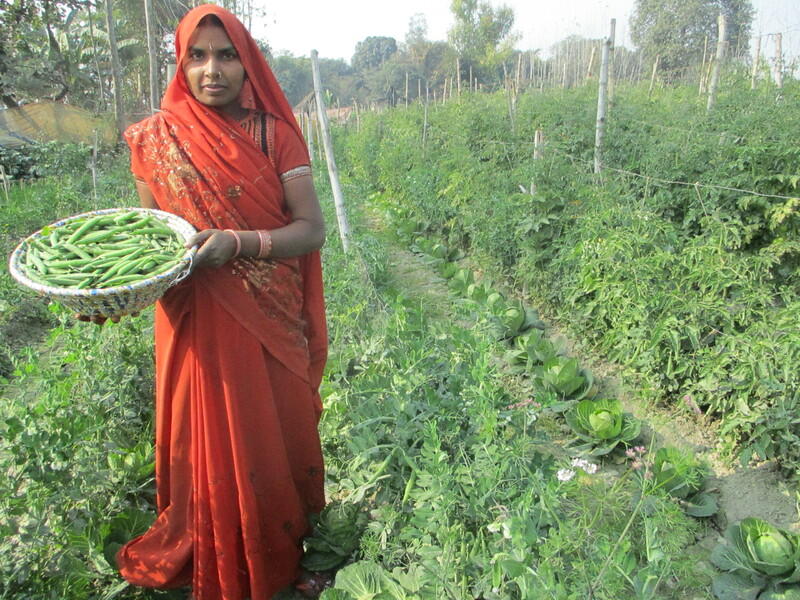 We earned INR 12,000 extra by selling cauliflowers.” Rajmati continues to attend regular meetings of her women farmers’ group. Climate-resilient farming practices support food and livelihood security for farmers and their surrounding communities by increasing output and making crop production less vulnerable to the weather extremes of a changing climate. Over the past decade, farmers in Uttar Pradesh have faced dry spells during the monsoon season, increased flooding, and increased winter temperatures. At the same time these practices, focused on long-term sustainability, lessen agriculture’s contributions to global climate change. Patricia Brick is a writer and editor in the New York metropolitan area. This article has been adapted from Oxfam India’s report on the project. This entry was posted in Agriculture, Engaged Buddhism, Food security, Projects & programs and tagged Climate change, Engaged Buddhism, India, Oxfam India, sustainable agriculture, Women's livelihood. Bookmark the permalink.